NAPLES, Fla., (Oct. 21, 2011) – Wegman Design Group received a Design Excellence Award from the American Society of Interior Design during the Florida South Chapter’s Rock the Boat awards gala earlier this month. Wegman Design Group received the award in Institutional Design for its design of the interior spaces of Covenant Presbyterian Church’s new worship center in Naples. Wegman’s design created worship, learning and socializing spaces that accommodate the needs of all age groups. The design configured worship spaces for the church’s current and future needs and incorporated the latest video and audio technology to blend in aesthetically with the worship environment. Traditional pews were replaced by chairs which provide flexibility for reconfiguring the space for other functions. Design of the spaces included the welcome center and an open loggia which is the church’s primary gathering area. Both can accommodate overflow seating during worship service, and loggia spaces include a catering kitchen, and mobile hospitality counters and seating areas that are adaptable to a variety of events. The design also included the church’s classrooms, parlor and nurseries. Wegman Design Group was recognized with several previous Design Excellence Awards. In 2010, they received the Sustainable Green Commercial Interior Space Design of the Year for South Regional Library and the Healthcare Design of the Year for remodel design of The Birth Place at NCH North Naples Hospital. They received a Design Excellence Award in 2008 for “SeaCAREium”, a remodel of the NCH Healthcare System pediatric acute care unit. 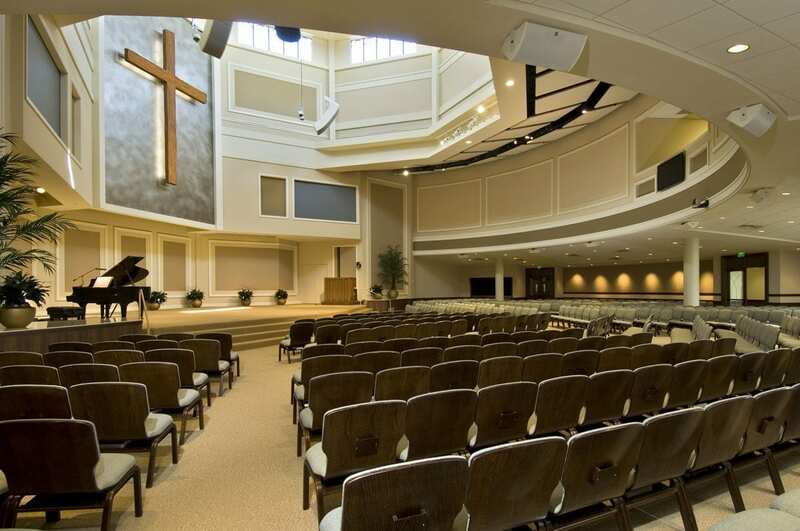 Wegman Design Group won a Design Excellence Award for their interior design work on the worship center of Covenant Presbyterian Church in Naples. Wegman Design Group is a Naples based firm providing interior design, space planning, interior architecture services and project management for the retail, hospitality, medical, life care and commercial markets.